A 21-year-old man has been charged with manslaughter after a teenage girl was fatally stabbed in Camberwell on Thursday. A teenager reported missing from Camberwell as Scotland Yard confirmed police had been searching for the 15-year-old for more than 24 hours. A man stabbed to death in the grounds of a church has been named as Mohamed Kakay. 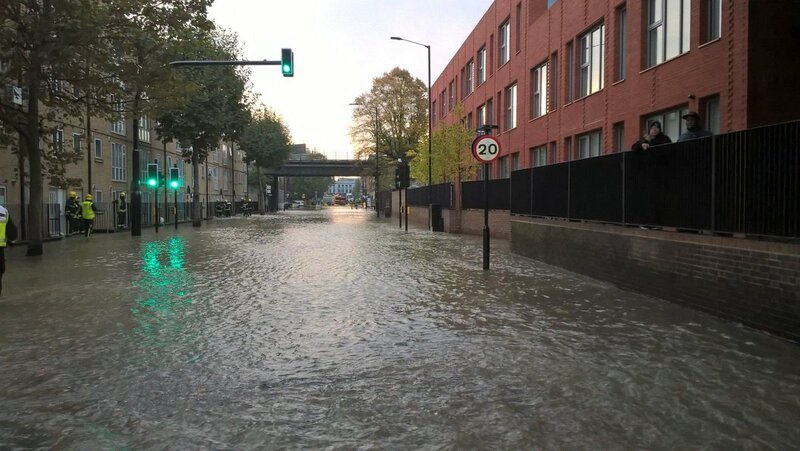 Camberwell New Road has been closed amid flooding caused by a burst water main, Transport for London says. Crews are currently assisting with a burst water main in Camberwell New Road, London Fire Brigade reports. Two thugs have been convicted after stabbing of man with learning difficulties in a 'vile' attack after he refused to sell drugs. The mural of Ali is alongside the late singer Prince who also died earlier this year. A five-year-old girl has been badly hurt after a fall from second floor window of a building in Camberwell. A cyclist who had her bike stole in a "cunning scam" involving a bike rack is warning others not to make the same mistake. Kings College Hospital have paid tribute to the 32 year old cyclist who died yesterday, who worked at the hospital as senior physiotherapist. Esther Hartsilver was treated at the hospital yesterday after colliding with a lorry on Denmark Hill, but later died.